Starting at 9:30pm in the Bolt bar, come sing your face off! 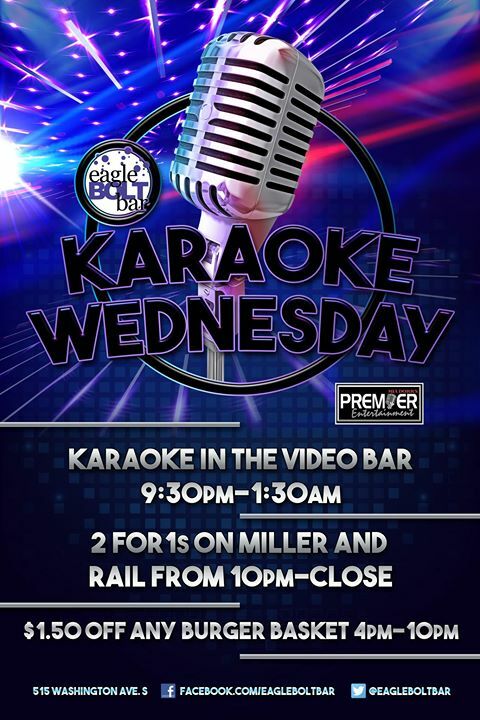 Premier Entertainment hosts Karaoke Wednesdays. $1.50 off burger baskets until 10pm. 2for1's on Rail & Select Miller Products starting at 10pm.